Varsity Stangs stay strong and finish the job 1-0 against Curtis! Bag of Polly popcorn? Check! Flair for the creative? Check! 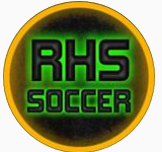 In another RHS match with a lineup shuffle due to missing personnel, the Stangs would be called on to find ways to produce results in somewhat unfamiliar ways. Redmond came out a tad slow in the opening half, with multiple early loose balls gained and controlled by Curtis. The Stangs were able to win some valuable corners with the always-pesky Rabadan asking some questions of the Curtis back line down the right hand touch line. Eager to get in on the action, Hernandez applied some trademark body language to select Curtis players which left everyone in the stands singing “Kumbaya”, and “Give Peace a Chance”. The illustrious Mr. Tibbs demonstrated some razzle dazzle and routinely conjured something out of nothing, leaving the Curtis wingers scratching their heads and wondering what had just happened. A sequence of Curtis free kicks from midfield caused some furrowed brows when the ball caromed around in the Redmond box for a tad too long. A short while later, RHS keeper Escalante had to go into “turbo scamper” mode when a ball squirted past the RHS back line and not one but two Curtis hot potato goal attempts were quashed in rapid succession by the expert exploits of Tricky Ricky. The Stangs came up with some chances of their own, and a Price headed pass to a streaking Stein down the left wing led to Stein subsequently performing a nutmeg and a choice cross which barely missed the mark. A late half Curtis free kick in the attacking third was cause for concern and made RHS fans second-guess the peperoni pizza they had for dinner, but the attempt sailed happily over the goal. On the next RHS possession, Stein again evaded Curtis defenders and launched a quality ball to a ready Doyle who made good contact with a header which unfortunately found the arms of the Curtis keeper. Coming out of half, RHS fans were optimistic of the Stangs’ prospects, and the Stangs themselves seemed ready to get something done. RHS pushed hard right out off the whistle and worked the ball deep via the left wing, and Stein took a few moments to get up close and personal with the Curtis keeper. Minutes later, RHS knocked again with several consecutive corners, the second of which took a miraculous save to prevent a Stein to Gordon goal connection. It was impressive to see how quickly Gordon then got back on D and shut down a menacing Curtis counter attack. At this point, Redmond was primed and ready to get on the scoreboard, and after a somewhat random and lengthy journey with the ball in the corner, the Price was right with a pass to an unmarked Stein for the precision near post put away. Zap! 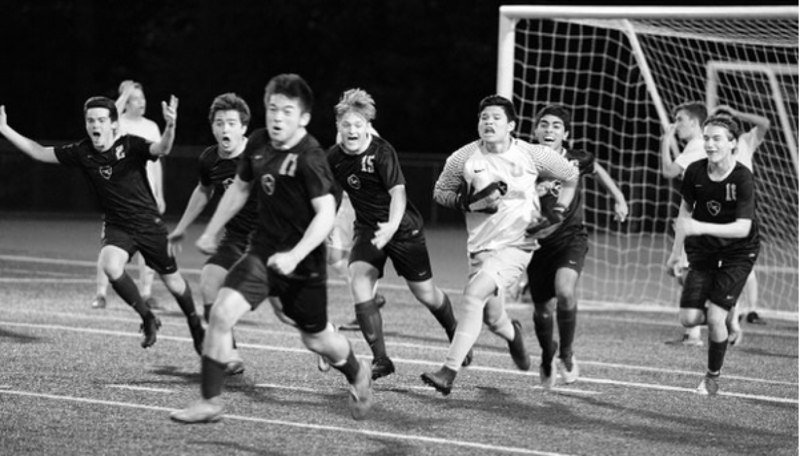 Previous postYour Varsity Stangs – Risin’ Up to the challenge and taking down Inglemoor 3-1! Next postSkyline strikes first but your Varsity Stangs keep the bit between their teeth and earn the 1-1 draw!